I recently had the misfortune of seeing a sign outside a chicken franchise that read hot, juicy, chicken. You can imagine my outrage!!! 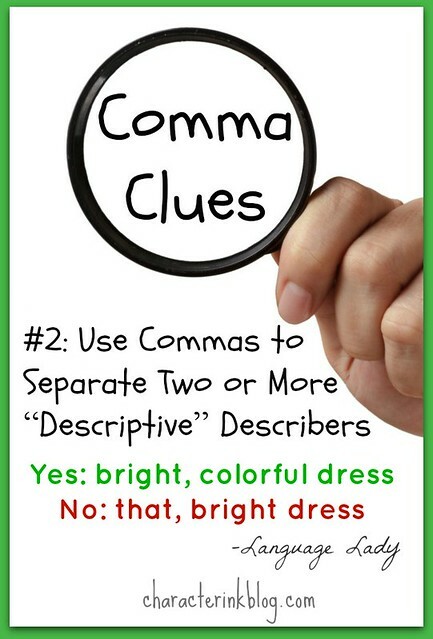 It, of course, took us here at Language Lady to Comma Clues #2: Use Commas to Separate Two or More Describers (But Not Between the Describer and the Word Being Described! ).